Warner Press continues its strong relationship with the Church of God by publishing the first book of longtime, influential pastor, Melissa Pratt. Pratt’s new book, Impact: That’ll Leave a Mark, adds a new resource for women (and men, too!) by a woman to the Warner Press repertoire. Impact shares how you can use your role as a disciple of Jesus to change and impact others’ lives for the better. Rev. Dr. Melissa Pratt has been the senior pastor of the Teays Valley Church of God in Scott Depot, West Virginia, since February 2007. At Teays Valley, she leads a growing congregation of nearly 500 that broke ground earlier this year on a brand-new, 3.6-million-dollar facility. Prior to Scott Depot, she served as the assistant pastor of Dayspring Church of God in Cincinnati, Ohio, for twelve years. 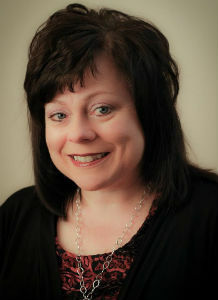 Melissa is a 1991 graduate of Anderson University and a 1995 graduate of Asbury Theological Seminary. She also received her doctorate of worship studies from the Institute for Worship Studies in 2007. Between college and seminary, she served the Church of God as a special assignment missionary to the island of Cyprus in the Middle East. In addition to her pastoral work, Melissa enjoys spending time with her husband, Rev. Thom Pratt, and their children, Hannah and Joshua. She also enjoys writing, travel, movies, plays, and concerts. Pratt served as one of the lead speakers at the 2017 Church of God Women’s Convention in Daytona Beach, Florida, from October 26–29. Her message, which Church of God Ministries general director Jim Lyon described as “change-the-world-quality teaching,” focused on the content of her new book and how to impact the world for Jesus. How do you want your life to influence others? Who will follow Jesus more closely because they want more of what they see in you? This book is an invitation to think about the personal impact you could make. Read Impact with an open heart, and ask the Holy Spirit to empower you to be a world-changer for Christ. 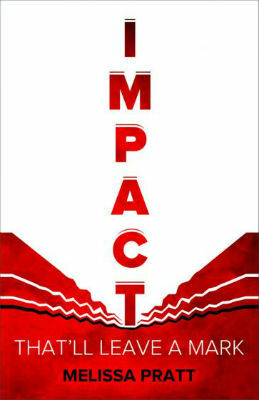 Purchase your copy of Impact: That’ll Leave a Mark today at https://www.warnerpress.org/9781684340279impact-pratt.html. At Warner Press, our goal is to equip the Church for ministry. We strive to help churches and Christian organizations communicate better within their walls, encourage spiritual growth and biblical literacy, and share the hope of Christ and the good news of the gospel with a broken world. Warner Press publishes and distributes Christian products worldwide, including ministry resources, church supplies, kids’ books, and greeting cards. We also own and produce artwork by the artist Warner Sallman, which includes some of the most recognizable images of Christ known throughout the world. Warner Press is based in Anderson, Indiana, and is a not-for-profit organization. For further information, contact Warner Press at 765-644-7721 or visit us at www.warnerpress.com. This entry was posted in All Church of God, Northeast and tagged author, book, impact, Impact That'll Leave a Mark, Melissa Pratt, reading, Scott Depot, Teays Valley Church of God, West Virginia, woman pastor, women clergy, women in ministry, writing, WV. Bookmark the permalink.